Category: PTSD | Sanctuary Counseling, LLC. So you’ve just finished reading the last chapter of your scary huge textbook, you have to collect and read a pile of research articles, and you have to find time to proof read your 15 page research paper before tomorrow. Academic reading has consumed your life? As a graduate student with year-round school, please trust me when I say ME TOO. When I get home from class at night the LAST thing on my mind is reading a nice book for my mental and emotional health. To be completely frank, I’m so sick of reading that I’ve completely lost touch with how much books used to take care of me. I always feel so conflicted when I pick up a book, thinking “if I have time to read this, that means I have time to catch up on readings for school.” I get in such a weird headspace that I end up putting the book down and doing something else, whether it’s productive or not. I feel like I’m cheating my grades if I start reading for “fun.” This continual pressure is taking away my time to care for myself and I need to make a change. Recently I’ve made a deal with myself that I am going to let books start to take care of me again. I want to see myself in their characters, I want their stories to make me think about the world, and I want their messages to comfort and ease my soul. Books are such a magical way to find connection with people and stories without having to leave the comfort of your own thoughts. I love books. I’ve lost touch with what they used to mean to me, and that troubles me beyond words. They are the ultimate daydream. When I want to find a little solitude and enter a new reality where my stresses don’t exist, I read a book. 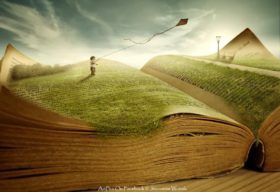 Books have become the enemy and I am not okay with that. I want to renew my relationships with books and let them ease my stresses and soothe my soul. I will be reading a new book every month and writing a short review about what the book has meant to me, how the book has impacted me, and how it might impact you in some way. Books are for learning. Books are also a form of rejuvenation for your mind and soul. I will be reading the soul hugging kind and recommending some of my favorites to the folks out there like me who have taken an accidental leave of absence from books and want to find enjoyment and fulfillment in them once again. I want to let books take care of me in the way that they used to. If you find yourself making these same remarks or these same excuses, please let me validate for you that you are not the only one. If you’ve recognized your relationships with books needs some attention, I invite you to join me in this new promise of self-care. If you find some connection between my thoughts and your own experience, let’s meet back here and start a dialogue on the books I have chosen. The first book I am going to read (actually revisit) is a classic comfort read of mine that I just recently re-read as I renewed my commitment to reading: The Giver, by Lois Lowry. I love this book. Meet me here and let me tell you why you would too. Welcome to fall! The season where nature checks in with itself, slows down, and prepares for winter. What better time to check in with ourselves than when the world around us is doing the same. One way to do this is by learning to live mindfully. More than ever we hear others are doing some form of this stress-relieving mindfulness meditation. And that’s a good thing because research is showing that mindfulness has some amazing effects on the brains of those who practice mindfulness on a regular basis. Mindfulness comes from the roots of the ancient Buddhists and was considered a type of meditation practice. In today’s world, mindfulness has grown into a variety of different therapy techniques, most of them focused on being conscious of the present moment and observing, feeling, and perceiving thoughts as they come and go. This means bringing awareness to the current state of our bodies, our feelings, and our minds. In therapy, we talk about staying in the “here and now.” Mindfulness is a way get to the “here and now” and to separate ourselves from guilty feelings of the past and anxious feelings of the future. Being mindful has many therapeutic advantages that I plan to discuss in later blog entries. But for now, I invite you to practice fall mindfulness. I invite you to notice what’s new or different around you. I invite you to slow down. I invite you to learn how to pay attention to the world around and inside of you. Here are a few fall focused mindfulness scripts to introduce you to mindful living. A rite of passage if you’re going to exist in a fall month. What does it look like? Is there a logo on the cup? Can you see the latte or do you have to take the lid off first? Is there a layer of foam across the top? What does the cup feel like? Is it smooth? Can you feel the warmth of the drink? What does it smell like? Is it strong or subtly spiced? Once you’ve smelled it, it is hard to resist drinking or is the smell enough to hold you over for a few seconds? Drink it. Has it cooled enough for a big swig or do you have to sip it to start? 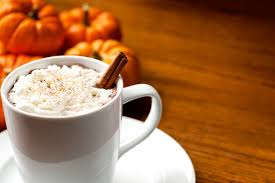 Does it taste like pumpkin or spice? After you’ve swallowed, can you still taste it? Do the spices linger or disappear? Do you feel the warmth of the drink or down your throat or in your belly? 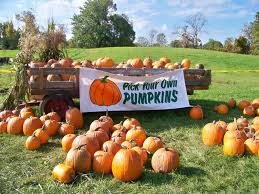 This can be done in any setting where you might encounter a pumpkin (the patch, Giant Food Store, or on the bale of hay on your porch). What’s the first thing that catches your eye about the pumpkin? Is it big? Flat? Round? Is it fiercely orange or is a more nuanced hue? Does it have any noticeable birthmarks or scratches? When you touch it, is it polished and smooth or lumpy and bumpy? Is it cool to the touch? Is it hard to pick up or surprisingly light? If you tap on it, does it make a sound? Do pumpkins have a smell? This “hike” can be done in the woods or down a tree lined street in suburbia. What is the first thing your eye notices about the difference between summer trees and fall trees? 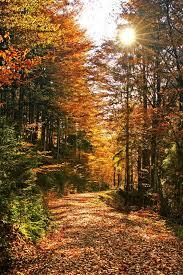 Have all the leaves started to turn or are some still holding on to their summer lushness? How many colors do you notice? Have the leaves started to fall? If they have, what do you hear when you step on them? Do they crunch beneath your feet? Is it loud or soft? What do the leaves feel like if pick them up? Take a deep breath – what does being outside smell like in the fall? Does it make you feel anything inside? Mindfulness actually trains your brain to be more efficient, with less distractibility and better focus. It relieves stress and even helps with becoming our best selves. And the good news is that there is much neuroscience research regarding practicing mindfulness which shows that it helps our brains become more cohesive, so everyday activities, thoughts, and attitudes are more well-rounded and balanced. All content on sanctuarycounseling.com is property of Sanctuary Counseling, LLC. 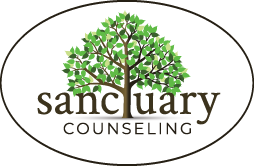 Sanctuary Counseling is happy to have any and all visitors on the site, so please share the link! For information on further sharing or publishing any content, please email info@sanctuarycounseling.com. Copyright 2007-2019, Sanctuary Counseling, LLC. All rights reserved.